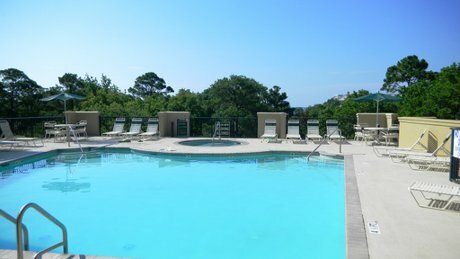 North Shore Place Hilton Head For Sale is the newest condo tower on Forest Beach with 2- and 3-bedroom villas just across the street from the beach. The construction date on this building is 2001 and the floor plans are 1,261 square feet and 1556 square feet, respectively. These units are equipped with corian co untertops, and upgraded appliances, high ceilings, and are elegantly tiled with luxurious bathrooms with expensive fittings. There is underground parking, a courtyard on the first floor, an outdoor pool on the fourth floor - all served by elevators. North Shore Place also has rights to one of the oceanfront pools across the street at the Seacrest - walk 3 minutes past 4 houses to the Atlantic Ocean!. Listing courtesy of Premium Properties of Hilton Head LLC. Selling Office: .